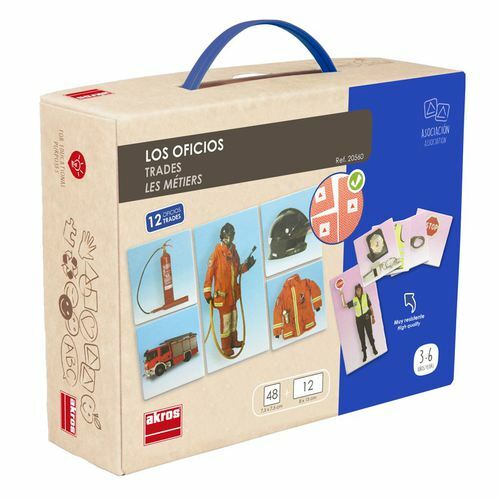 https://youtu.be/3xeyJP_hKGQPSYCHO-PEDAGOGICAL CHARACTERISTICS :An association game for learning to relate different trades with the uniforms and tools of each trade. The educational aspect of this material is based on LOGICAL ASSOCIATION. The people represented in the photographs can be clearly distinguished between each other by both their clothing and the objects they are holding. 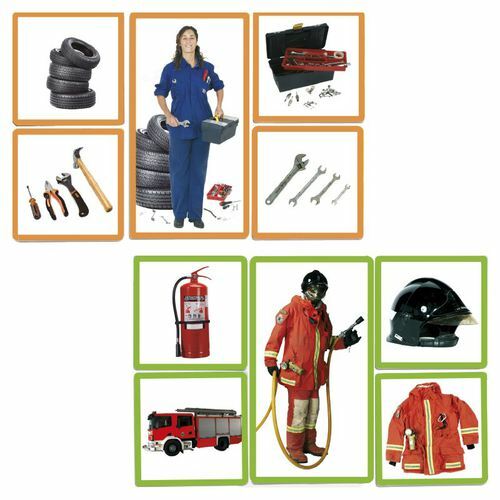 It is an excellent medium for LANGUAGE DEVELOPMENT, INCREASING VOCABULARY and the use of VERBS corresponding to the actions represented in the photographs. -Expanding knowledge of different trades. -Improving the ability to identify, discriminate and classify. -Development of a capacity for observation, whether of the objects themselves or their characteristics and functions. -Learning to form suppositions and explanations for possible relationships between objects. 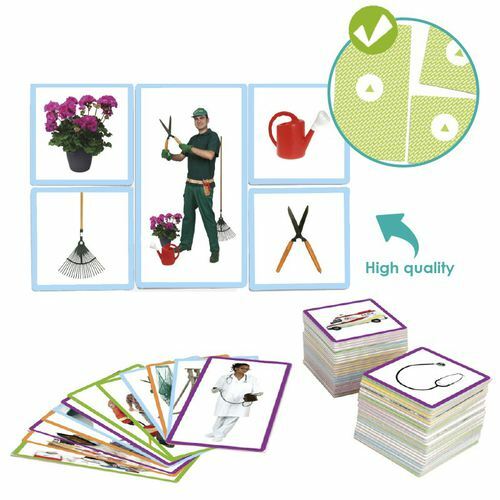 -Improving psycho-motor coordination by handling the cards and putting them together correctly. -Incorporation and development of basic vocabulary.